There is a scene in The Nine Tailors by Dorothy L Sayers where Lord Peter Wimsey gets a significant clue from the fact that someone doesn’t attend church on a particular Sunday morning. 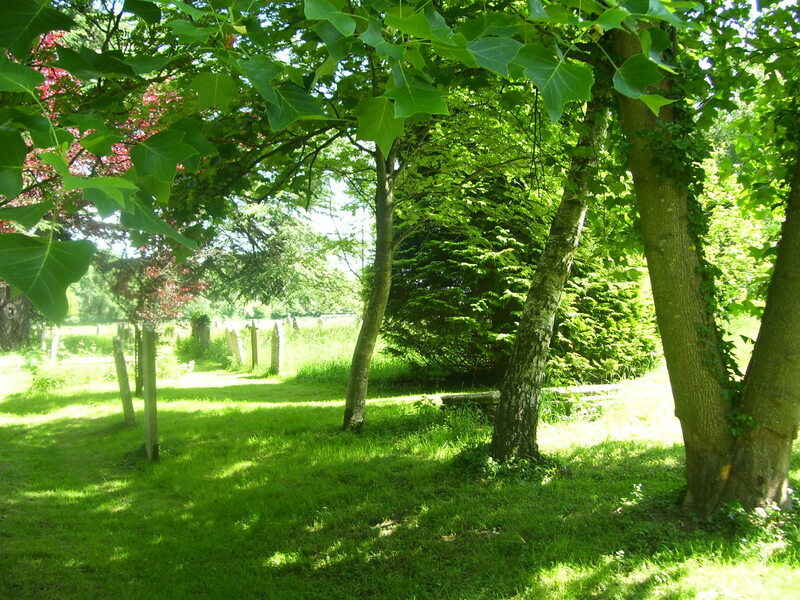 For many of us nowadays that would seem an extraordinary thing and there’s a whole ‘nother blog to be written about the role of the parish church in British society through the ages. In many places, the local church still has a vital role to play in being a central part of the community and I’d like to celebrate today that wonderfully eclectic institution, the flower festival. 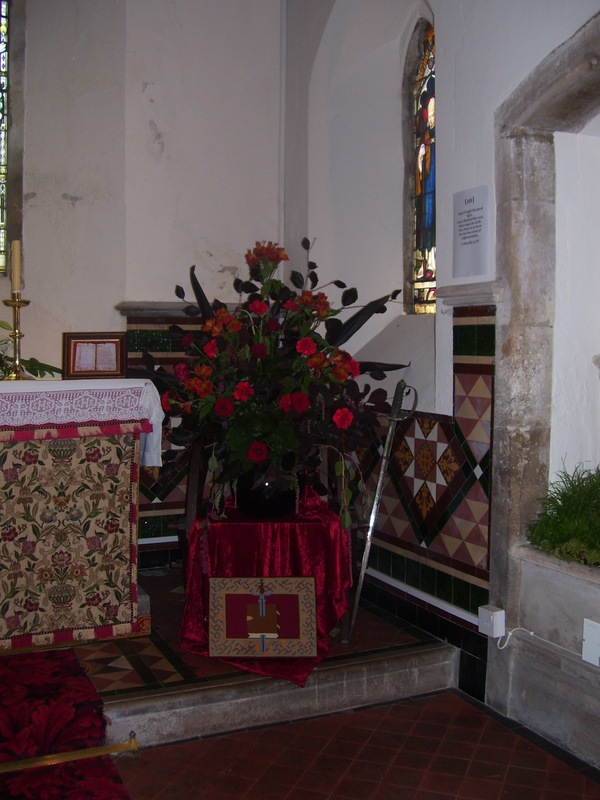 By this, I don’t mean the competitive flower show (which often rides in tandem with the even more competitive vegetable show) but the celebratory ones, where the pew-brown and stone-grey of the local church becomes a riot of colour, usually along the theme of a Saint, a festival or an anniversary. The enormous creativity and ingenuity of the flower ladies (and men!) is allowed free reign and a wealth f displays are created along the chosen theme. I’ve seen extraordinary displays commemorating the Linton and Linmouth flood, the Battle of Trafalgar and the anniversary of the D-Day landings. All of them have left me gobsmacked at the imagination and talent on show. 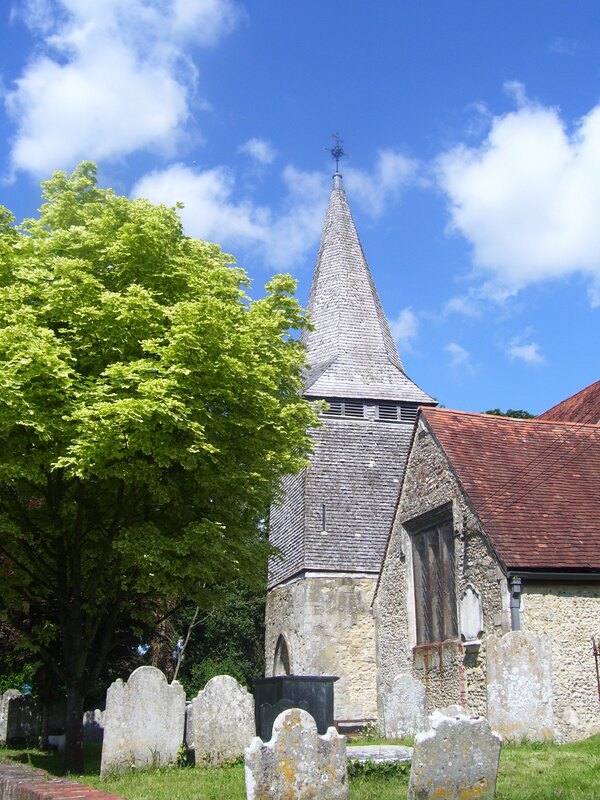 One of our Parish churches (we have two, we’re greedy) is the wonderful St Boniface at Nursling, a building hundreds of years old with a graveyard steeped in atmosphere. We held a festival there this last weekend to celebrate the saint himself and to depict his life and some of the stories from it. 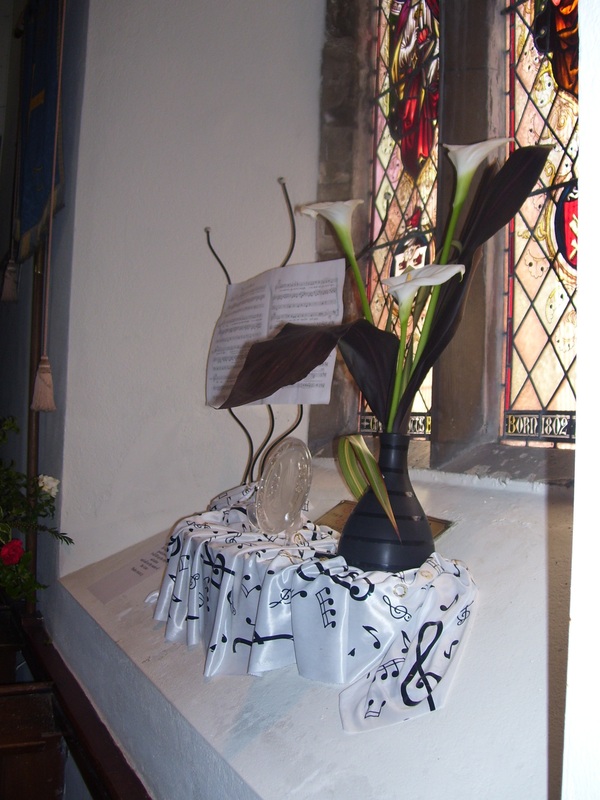 The church warden allowed me to post some of the pictures of the displays here and also made the offer of taking me up the bell tower any time I wanted! 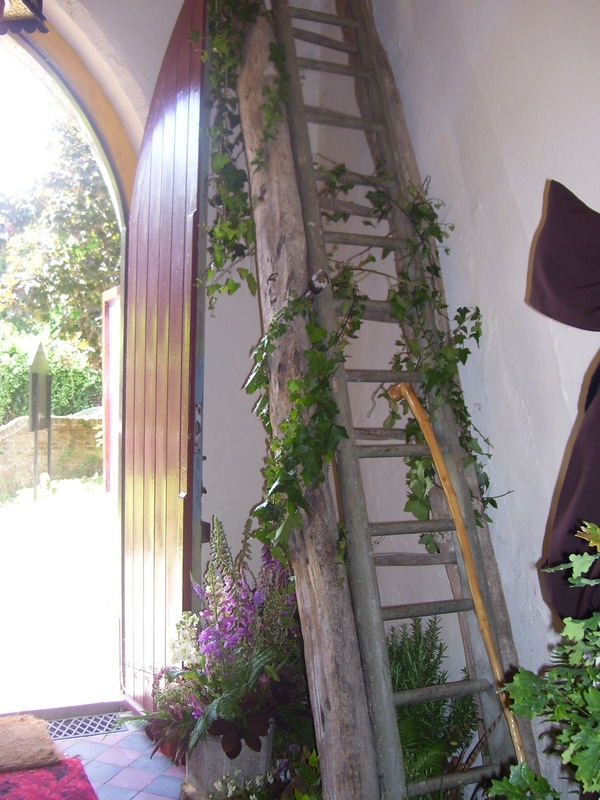 This would involve negotiating the four hundred year old ladder (which luckily has a modern one propped on it) which can be seen in the porch here, a porch that’s awash with flowers to represent our local countryside. The foxgloves are particularly lovely this year. I enormously admire the originality of flower arrangers, being strictly a buy-a-bunch-and-bung-‘em-in-a-vase girl, and I could never attempt a floral display to tell a tale like the ones at these festivals do. Boniface was martyred, and the sword seen with the blood-red exhibit here symbolises his murder. Note the wonderfully thick stonework and stained glass windows of this lovely old church. I’m of the opinion that we can be a bit blasé about our wonderful inheritance of history in Britain and it’s right to celebrate, preserve and enjoy our heritage. To do so while exhilarating the senses with colours, smells and textures is very bliss indeed. If you’re visiting somewhere and you see the handwritten sign (it’ll be handwritten unless they’re dead posh and/or have a tame signwriter) pointing to the local church flower festival, do take a few minutes to go along and immerse yourself in the richness of it all. If you’re a writer you might well find inspiration in the stories or setting or the sheer luxurious beauty of the natural glories on display.